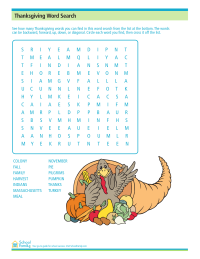 See how many Thanksgiving words you can find in this word search. 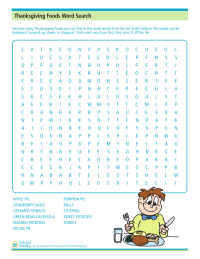 See how many Thanksgiving foods you can find in this word search from the list at the bottom. The words can be backward, forward, up, down, or diagonal. Circle each word you find, then cross it off the list. 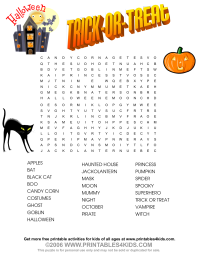 Find the Halloween terms in this Trick or Treat word search. 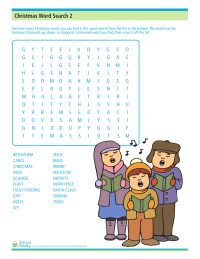 Created by Printables4Kids. 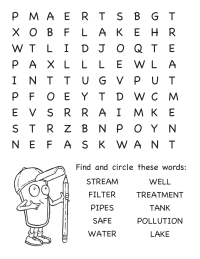 Find the words relating to water in this word search, from the EPA.